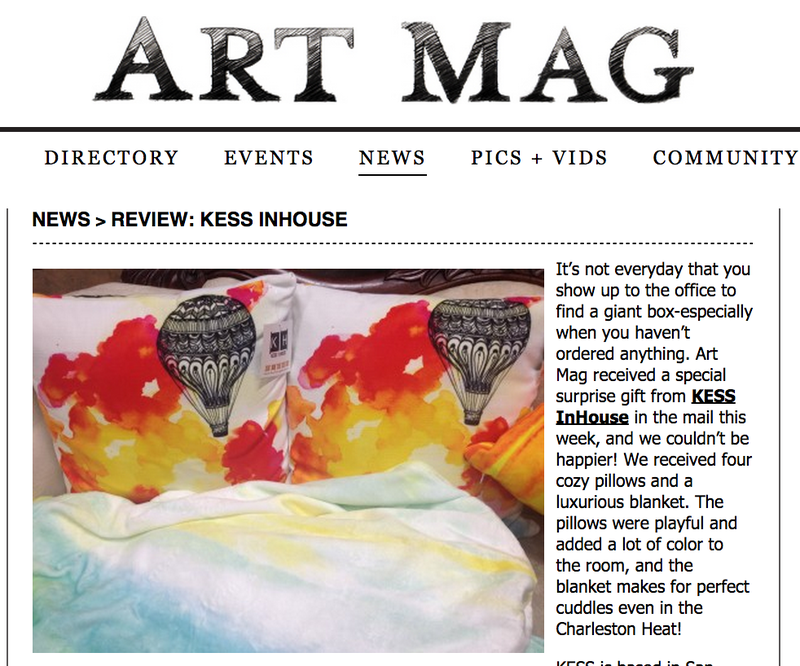 Congratulations to our ClientÂ KESS Inhouse for their feature in Art Mag! KESS Inhouse is a uniquely innovative concept of modern home furnishings & decor! KESS transforms and encourages the home decor market to step outside of the average decorating boundaries and add art to the home! San Diego, Ca based, KESS Inhouse offers a cutting edge array of product line involving throw pillows, duvet covers, tempered glass cutting boards, shower curtains, and just about any other home decor product you can think of! With every purchase made with KESS Inhouse, the artists receive a percentage of the proceeds.Â KESS Inhouse not only supports the art community but adds a level of sophistication, creativity and art to the home decor market! Check them out at kessinhouse.com!